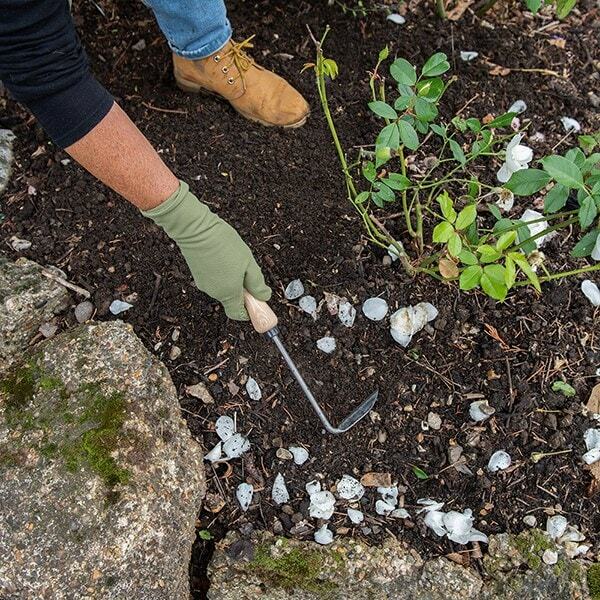 Hand-forged and tempered from a single piece of steel, the De Wit Cape Cod weeder is an exceptionally sturdy tool for tackling weeds wherever you find them. Hit stones and rocks galore, you'll never damage this one! Made from high-carbon steel with a sharp blade edge, the tool lets you slice weeds just below the soil's surface, cutting them off cleanly at the roots. Grip it firmly by the chunky ergonomic handle, insert it under the soil and pull it along sideways to clear large areas of weeds, or use the pointed end to target tap roots and weeds in tight spots - for example, between paving slabs or in densely planted beds, borders and rows. Besides weeding, you can also use it to help you cultivate compacted soil - drag it along to loosen the soil and create deep ruts for planting. 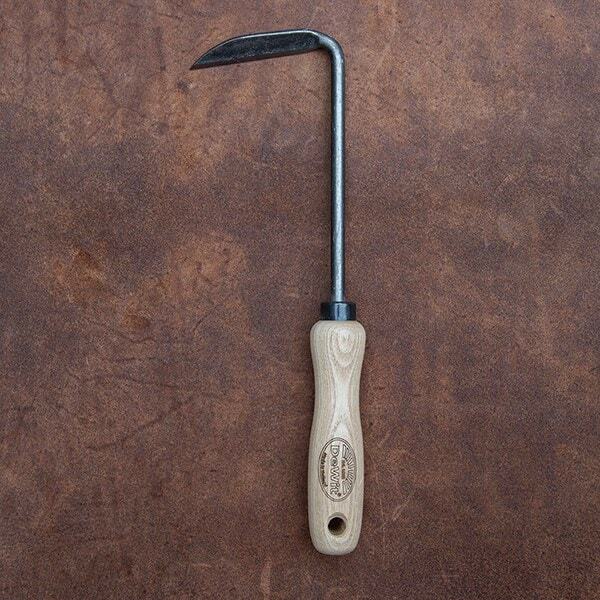 A superbly crafted, versatile tool that almost makes weeding a pleasure. Almost! Please note: this tool is designed for right-handed use.